Digby Van Winkle: FAQ: How do I get my dog to wear clothes? 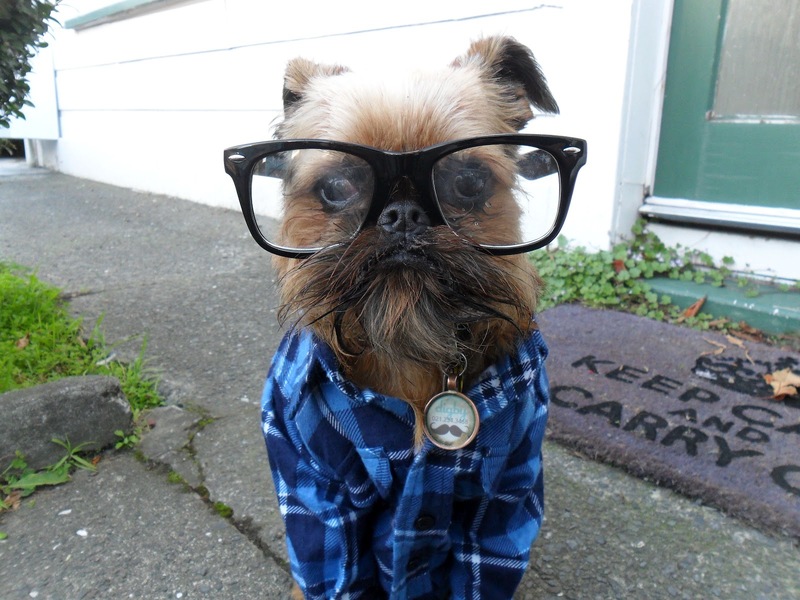 FAQ: How do I get my dog to wear clothes? I'm asked this question a lot because I am always posting pictures of Digby in his little outfits. The main reason I'm writing this is so that you don't think that Digby is just a magical and very tolerant dog by default (but it does help that he can put up with a lot) but so you know that even Digby has to work hard to look this good. Most people would say that they don't see the point in making this much effort just to have a dog who will put up with something unnecessary. I disagree - it gets your dog used to being handled and you can both have a lot of fun doing it. Don't get frustrated with your dog if they aren't co-operating. Try to end on a positive note and come back to the dog later. Dogs know when you are getting angry and it does upset them. An upset dog will not co-operate. 2. Associate clothes with good experiences! I'd recommend starting with just one item of clothing. Get it out and put it on the floor. Put a treat or two on it (or even use it as a food bowl at dinnertime) and let the dog learn that clothes aren't a death sentence. Get the dog used to it because let's face it - the concept is very foreign to them. Once your dog is comfortable with the clothing being around you can step it up a bit - now with this next part only you know your dog so proceed at the pace your dog is comfortable. Put the clothes on your dog, feeding the dog treats as you are doing it (or offering praise if your dog is not food motivated). An extra pair of hands is helpful here but don't stress if you don't have them. Keep the clothes on the dog for a short period of time. If you're anything like me you'll get the dog to sit/look cute, take a few pictures (while treating after each shot) and as soon as the positive happy experience is over take it off. We can work our way up to leaving it on for extended periods later. If you have any questions (or if there's anything else you'd like me to cover) leave a comment here or email digby@digbyvanwinkle.com.